Millions of adults with mental or physical disabilities are unable to carry out basic daily tasks such as buying milk or posting a letter due to accessibility issues on the high street, it has emerged. A study of 2,000 disabled people found more than four in 10 are unable to visit their local shops due to ‘barriers’ which prevent a comfortable shopping experience. Another 66 per cent of those who were polled felt just being in the presence of other people often made shopping a struggle, while a further 50 per cent said even loud music played in-store affected them. Narrow aisles, small doorways and end-of-aisle special offer display stands are also a nightmare for some, according to the study. But while we recognise that physically disabled people may have difficulties navigating a store or understanding what services are available, for those with hidden impairments the story can be very different. Of those who have some form of mental disability, nine in 10 don’t want to draw attention to their struggles and 47 per cent find it difficult to communicate to others what their needs are. In response to the research, Skipton Building Society have become the first financial services provider to partner with AccessAble, an organisation which enables people to view Detailed Accessibility Guides for a variety of their partners from hotels to shops and restaurants. The partnership with AccessAble will allow members of the public to view thorough information on all of Skipton’s branches, including everything from where the nearest disabled parking is to details to help customers to move around each of its branches. 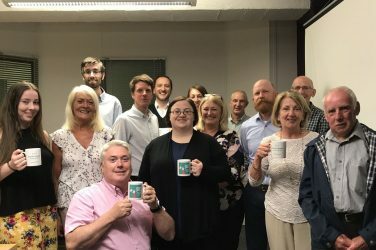 Jacqui Bateson, Senior Proposition Manager, at Skipton Building Society said: “As a nation we are becoming more aware of the challenges and barriers disabled people face, but clearly there is still a long way to go, particularly on the high street. “The study highlights the real need for businesses to take action, to address the needs of everyone, whether that’s someone who is a wheelchair user, a parent with a pram or someone who find crowded or loud spaces distressing. “The reality is that there are many people out there who need extra assistance when on the high street to make sure they have the best experience. Researchers also found for those with physical disabilities, having to navigate crowds of people, staircases and car parks can be a ‘nightmare’. Other difficulties for those less physically able included a lack of ramps (15 per cent), changing rooms which aren’t big enough (18 per cent) and revolving doors (20 per cent). Less obvious challenges include being around too many people (58 per cent), being asked questions by shop staff (23 per cent) and being ‘judged’ (26 per cent). For some 28 per cent, the act of visiting the high street is so out of their comfort zone and they often find the thought distressing. While a further quarter don’t like the idea of being looked at, 36 per cent can’t cope with the noise levels and queuing is stressful for three in 10. It also emerged six in 10 disabled adults with avoid going to the high street whenever they can. Just under half of those polled have turned back home before completing their shopping because they found the whole experience too stressful, and sadly a third have had some form of panic attack as a consequence. 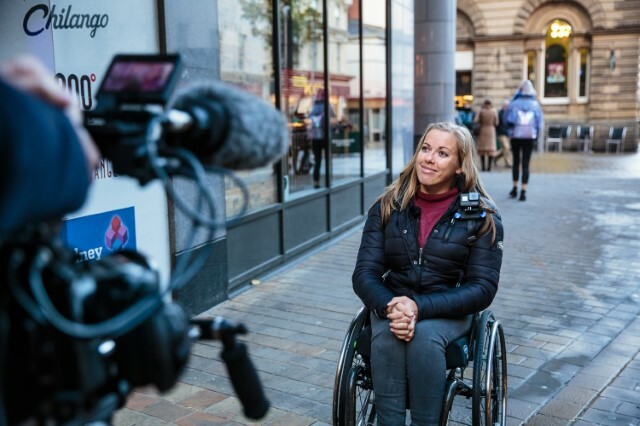 Paralympian Hannah Cockroft MBE has partnered with Skipton Building Society to create a short film which looks at some of the accessibility issues on the high street, bringing to life the research and daily challenges that people often face with inaccessibility. Commenting on her experience during filming, Hannah Crockroft said, “It actually really shocked me how inaccessible a lot of places on a typical high street are. “I think that it’s important to point out that accessibility isn’t something that just effects people with a disability, anyone could break their leg one day, and suddenly need access and that’s when you realise just how important this is. “Taking part in this film has demonstrated to me that if we don’t go and question inaccessibility, it is never going to change. ”The more people that raise their voices, the more things are going to change for the better. Top 10 Questions To Ask A Wedding Photographer Before You Hire Them!